Lately ASUS company has been providing our test lab with all its flagship devices, top-class wireless routers, and it really became some kind of a tradition. Obviously, we are glad about this opportunity to test every fastest and newest device by this vendor meant for use by experts or maximalists who want to have only the best of the best. Unfortunately, not all users can afford to buy equipment like this and there are even cases when it's not necessary at all. 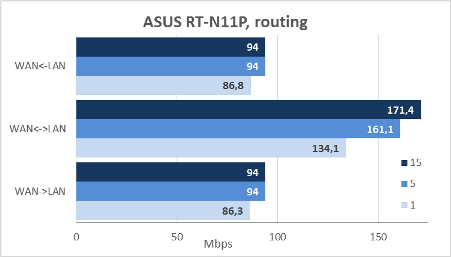 Actually, ASUS produces budget-priced router models for common users of the Internet and one of them, RT-N11P, will be tested by our lab today. This model will not show record-high data transmission speeds but it will still be able to meet the needs of the majority of common users without effort. Well, let's not linger any more and pass directly to reviewing it! 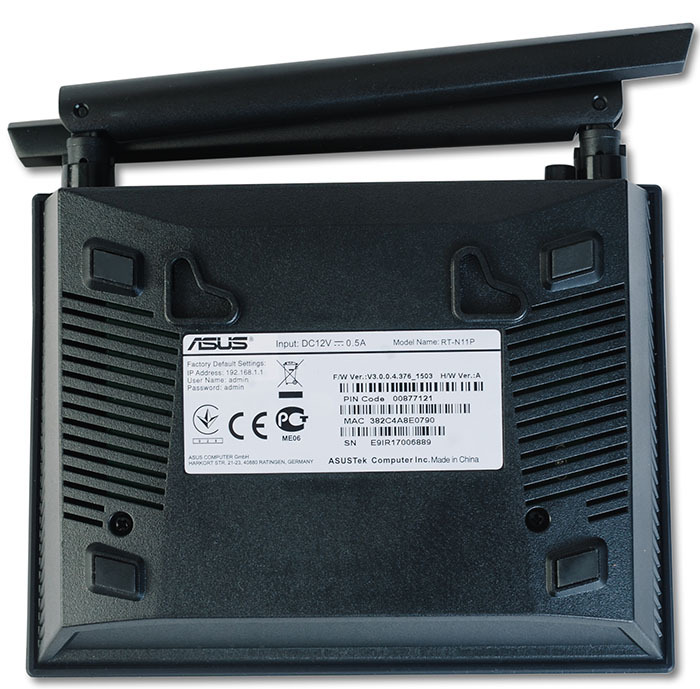 RT-N11P wireless router comes in a black plastic case, which became really typical for ASUS telecommunications equipment. The device case has dimensions of 146х111х24 mm (not including the antennae) and weights 180 grams. To work properly it needs an external power unit with the following characteristics: 12V and 0.5А. There are four LEDs located on the device upper panel: Power, Wi-Fi, WAN, and LAN. It's worth mentioning that RT-N11P doesn't have a separate LED for every LAN port. Instead of it, LAN LED shows the presence of at least one wireless connection to the device from the user local network. Also, the upper panel of the device has a brand tag, model name, and device characteristics. Front and side panels are not remarkable at all and there is only a ventilation grate located on their sides. We should probably point out that the device barely heats up upon functioning and that's why it wasn't necessary to place larger ventilation grates since the maximum dissipated power of the device doesn't exceed 6W. The bottom side has four rubber legs used for table mounting of the device. Apart from it, RT-N11P can also be fastened onto the wall and therefore it has two mounting holes located on its bottom side. A sticker with the brief information about the model and a ventilation grate are located here, too. 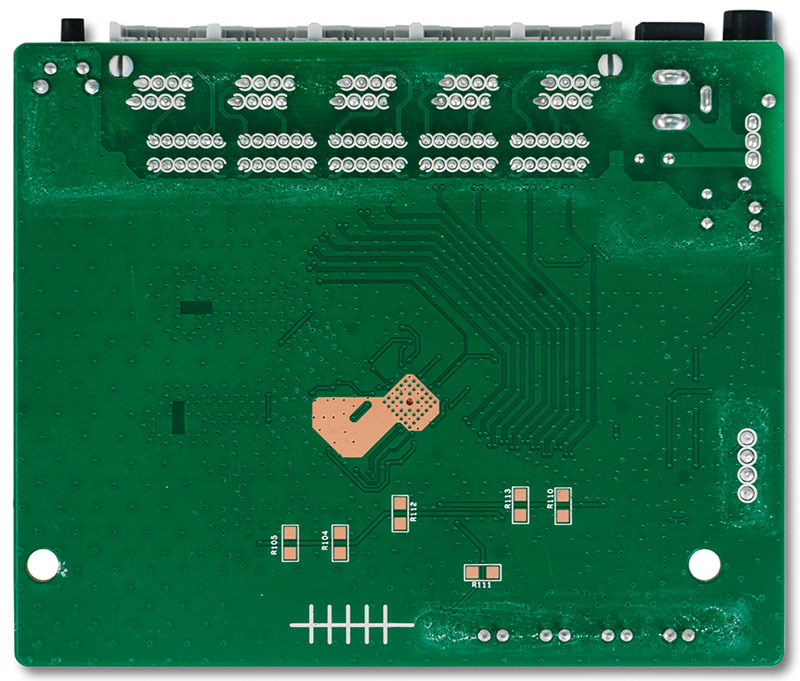 The rear panel has five Fast Ethernet ports with two contact pairs, socket used for connection of an external power source, ON/OFF button, WPS and Reset buttons, and two nondetachable external antennae. We believe that ON/OFF button was placed in a wrong place, between the antennae and PSU plug, since it is really difficult to reach it with standard men fingers. Now let's have a look at the insides of the case. 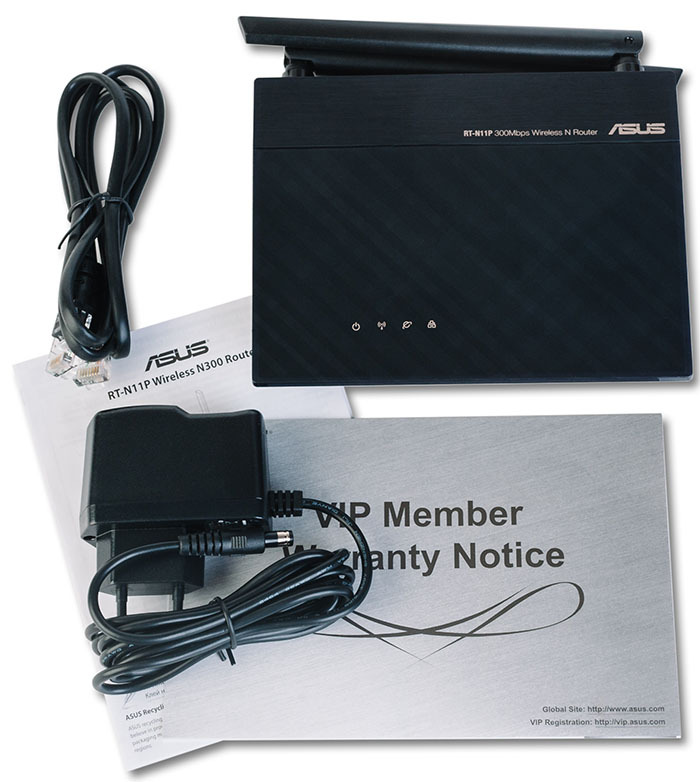 The electronic stuffing of ASUS RT-N11P budget-priced wireless router is one green textolite card which has all essential elements located on one of its sides. The system is powered by MediaTek MT7620N SoC CPU. ESMT M12L2561616A module with the size of 32 Mbytes performs function of the RAM. Now let's pass on to examining of the software capabilities of the router. Firmware upgrade process may be carried out both in manual and semi-automatic mode. 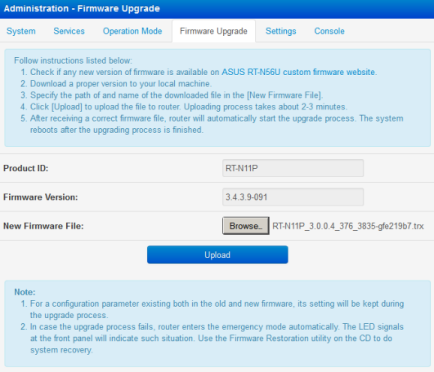 One must enter Firmware Upgrade tab, Administration menu item, in order to upgrade the firmware. The whole upgrade procedure takes about three minutes not considering the firmware download time from the vendor's website. The vendor recommends resetting the user settings to default and adjust all of them manually once again after every firmware upgrade. 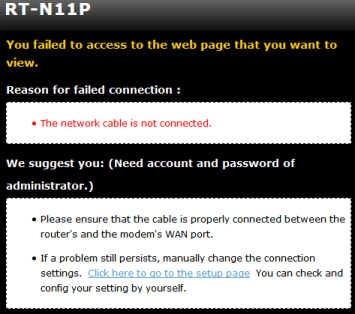 In case of a failure during the firmware upgrade process of RT-N11P, the router changes for the rescue mode during which the power indicators on the device upper panel will start slowly flashing. 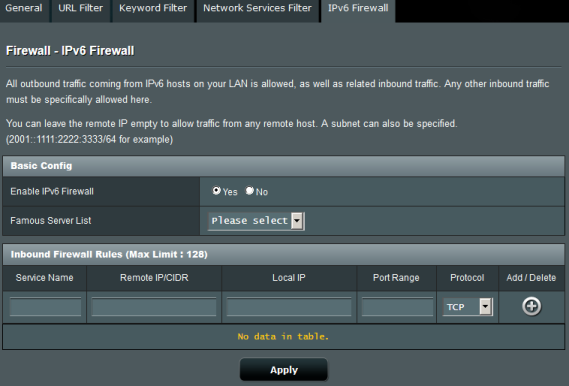 It'd be fair to mention that the administrator can manually switch the router over to the rescue mode. To do that s/he only needs to hold WPS/Reset button while the device is booting. To restore the firmware one must use a single-purpose utility called Firmware Restoration, which is included in the utility kit for this router. 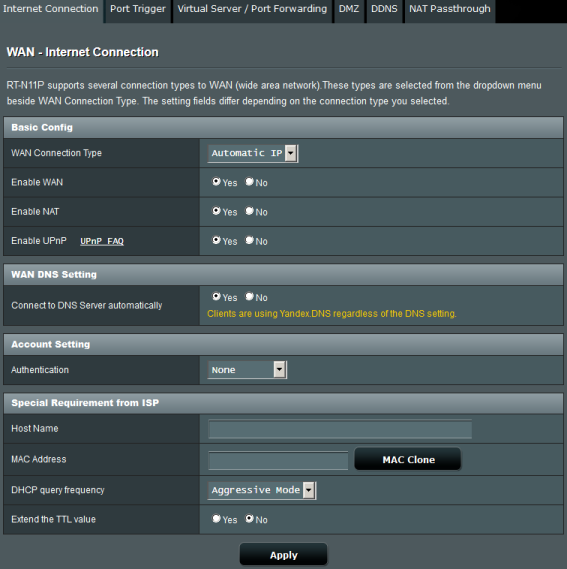 Firmware Restoration will automatically detect the failing router and upload the firmware. The whole restoration process takes about three minutes. The administrator can restore the firmware in the manual mode using TFTP too. 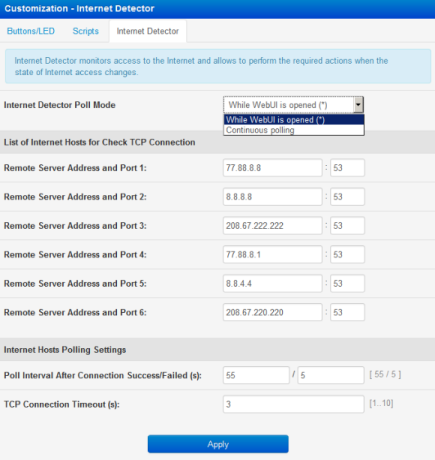 We connected our test PC to one of the router LAN ports and assigned it address from the network 192.168.1.0/24, whilst the RT-N11P LAN port used 192.168.1.1 address. We tried to upload the firmware to the device using TFTP client built in Windows OS. 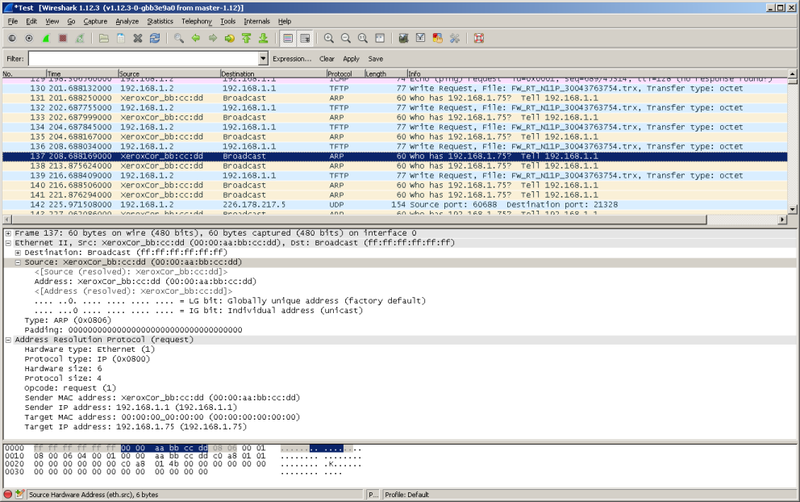 Transmission of the firmware file failed, but Wireshark network traffic analyzer displayed several ARP requests sent by the router about 192.168.1.75 address. 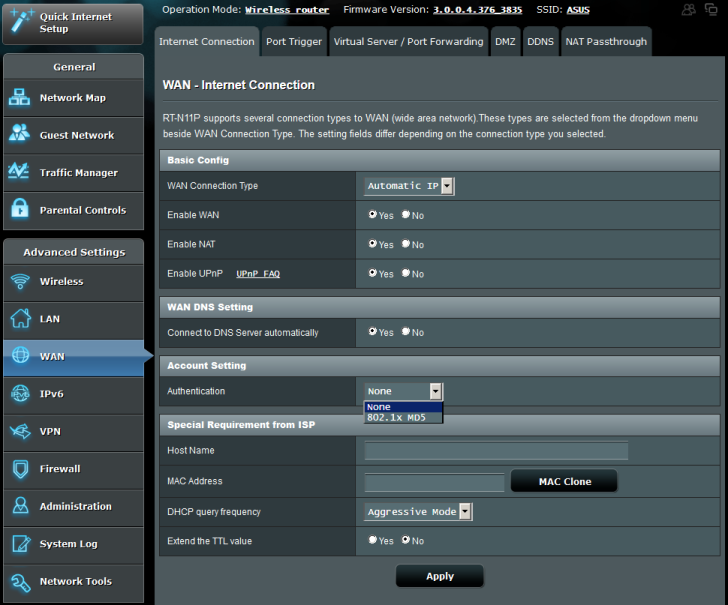 We changed the IP address of the test PC to 192.168.1.75 and then made a successful transfer of the firmware using TFTP. It's worth mentioning that ASUS RT-N11P wireless router is also supported by third-party developers who make alternative firmware versions. An example of such support is a project by Padavan developer. 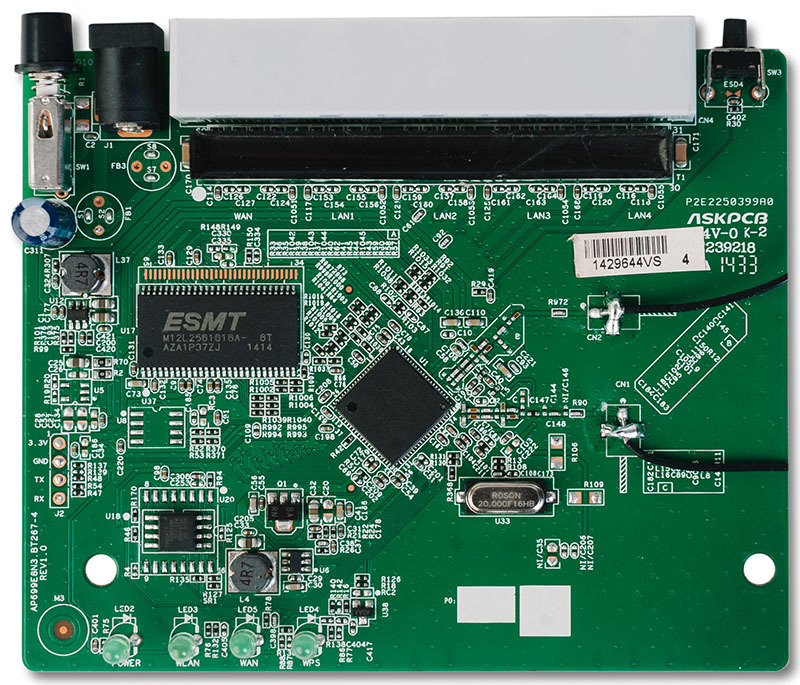 Obviously, we just couldn't help but review this alternative firmware that one can install using standard firmware upgrade mechanisms explained above. Unfortunately, the system resources of the router under review are humble and that's why the developers could not simply add new features, they had to delete something. Among the deleted features of the original firmware there are: AiCloud and DualWAN support and adjustment of QoS using the web-interface. Instead of this, the users were granted with the following capabilities: support of OpenVPN and L2TP, advanced adjustment of the wired ports and wireless interface, possibility of writing proprietary scripts that are launched upon booting or when certain events are to happen. One can change back to the original firmware version using Firmware Upgrade tab, Administration menu item, Advanced Settings menu. 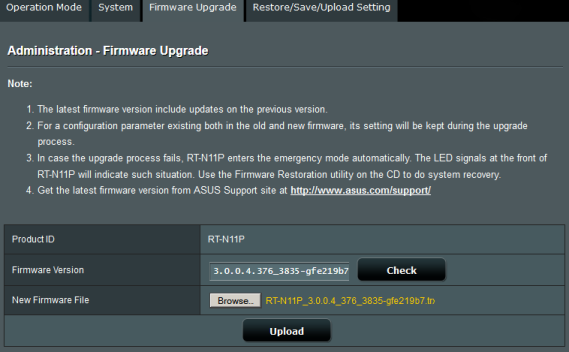 That is where we bring the review of the methods of firmware upgrade and restoration process of ASUS RT-N11P to a conclusion and pass on to examining its web-interface capabilities. This time we will not review the device web-interface capabilities in detail. Instead of it, we will focus on the new, updated, or simply interesting features. The device web-interface is available in 22 languages. 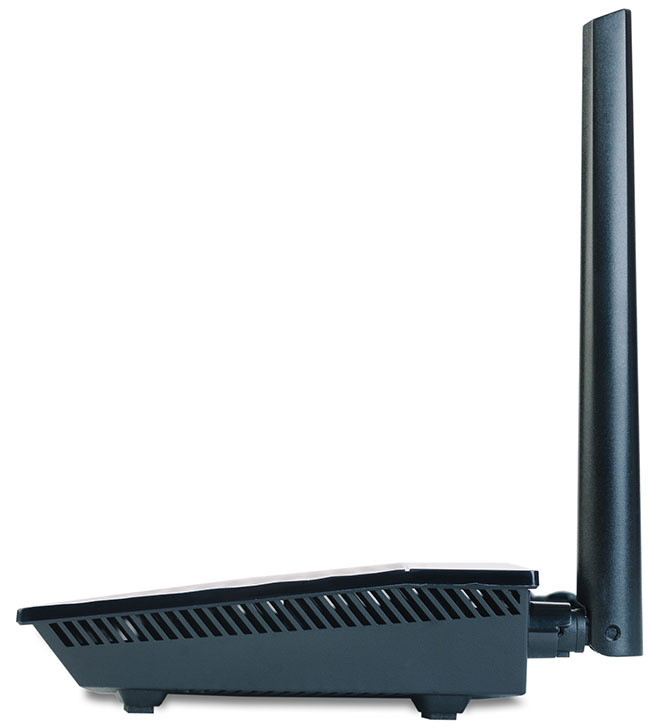 Since the wireless module used in RT-N11P model supports only one frequency range, 2.4 GHz, therefore the device under review allows the users to create up to three guest wireless networks in this range via Guest network menu item. 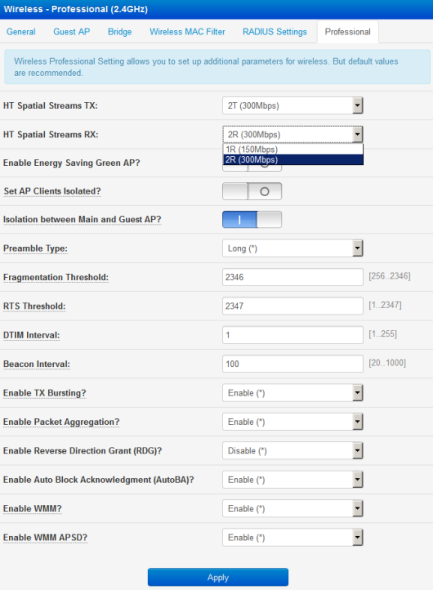 Connection menu item, WAN menu, contains a new feature called Extend the TTL value that allows for connection of ASUS wireless routers to networks of the providers that prohibit the usage of routers and try to get rid of them by decreasing TTL field value in the packets that are transmitted to the client's equipment. We will expound more on that feature in the testing section of this review. 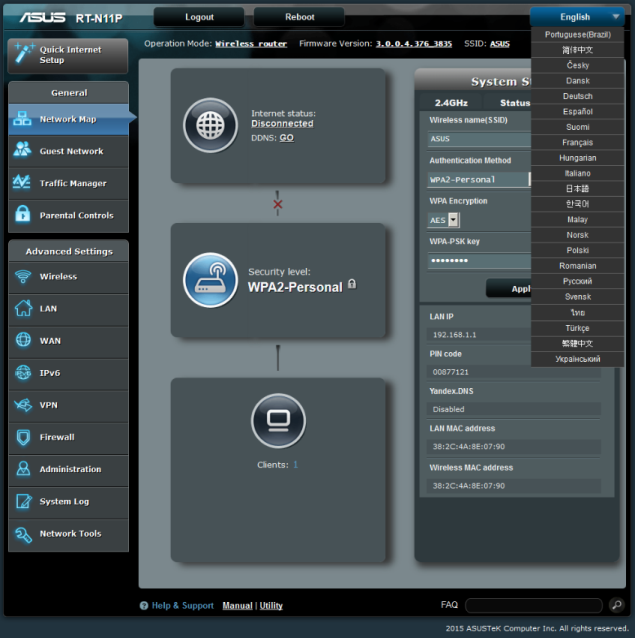 ASUS RT-N11P can also act as a VPN server or VPN client. Unfortunately, due to the device limited resources only PPTP is supported. 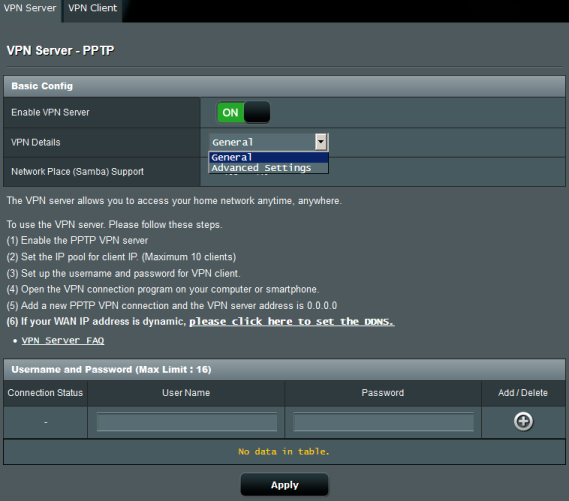 These settings are available in VPN menu item. 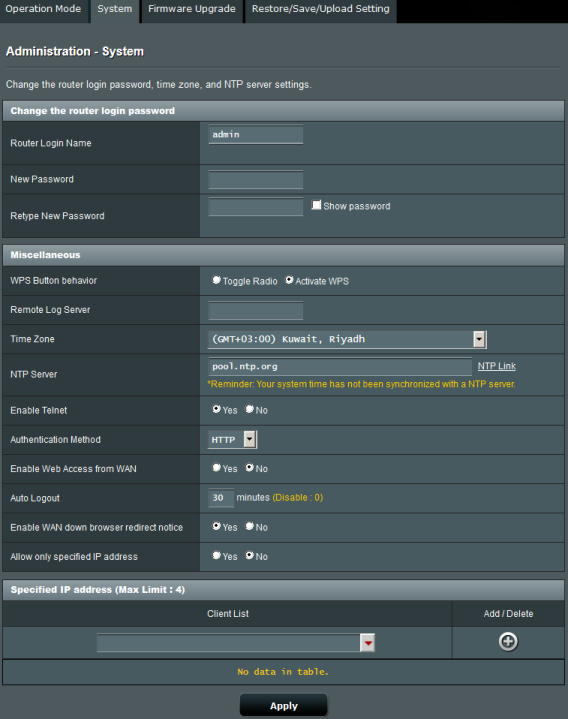 Also, we just can't help but mention the availability of IPv6 traffic filtration using IPv6 Firewall tab, Firewall menu. Another feature that drew our attention to it was Enable WAN down browser redirect notice located in System tab, Administration menu. 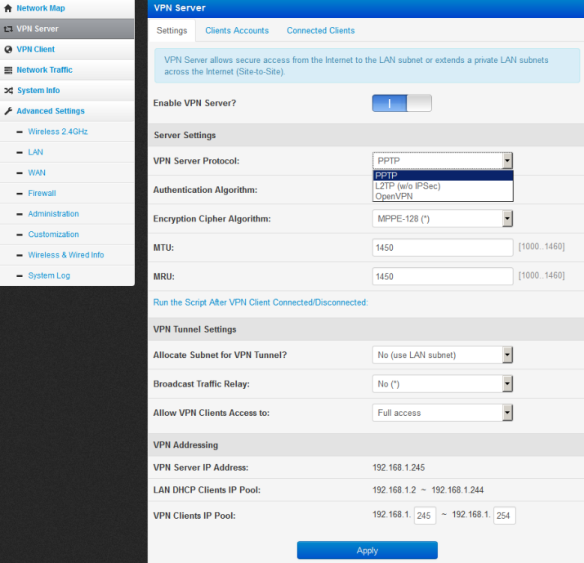 Using this feature the administrator can manage the router in case of a WAN interface failure. 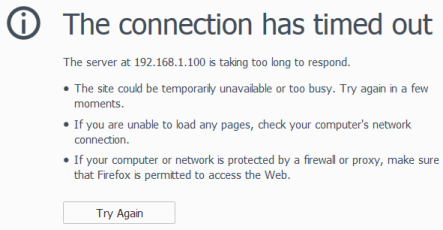 Upon its enabling RT-N11P shows the users a page that informs them about the channel failure instead of a common browser message about the unavailability of the resource. When this article had already been finished, we received a newer firmware version from the vendor that included support of Yandex.DNS. What's the point of this kind of support? The wireless router administrator selects the security mode for every particular device (using the MAC address) in the network as well as the common rule for all the other devices that are not included in the list. Every client device is assigned a certain level of security/access. This way all DNS queries from children-friendly devices about malware or adult website are blocked. Also, any DNS queries to external servers using standard ports are blocked in order to be able to deny access to DNS servers without such protection. 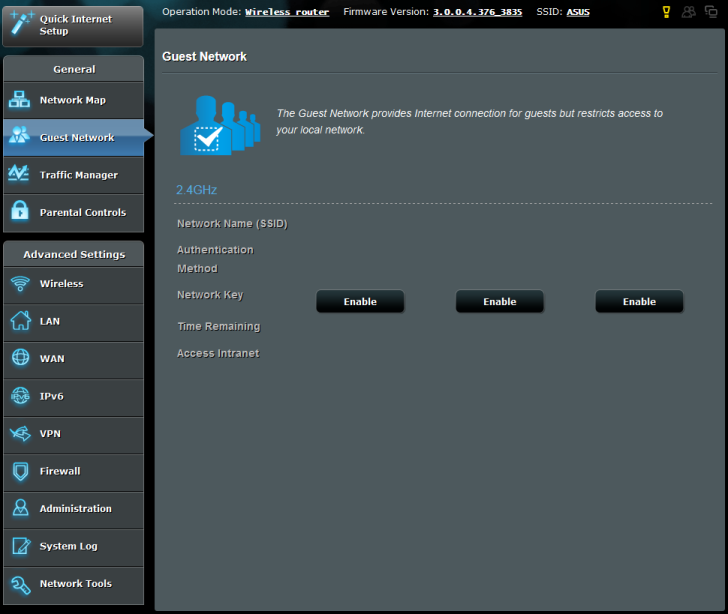 The applicable settings are located in Yandex.DNS tab, Parental Control menu item. We'll test and describe this feature in more detail after it will be officially added to the firmwares. That is where we bring a brief review of new and interesting capabilities of the device web-interface to a conclusion and pass on to examining capabilities of its command line. Managing the access to the command line is performed using System tab, Administration menu item in the web-interface. 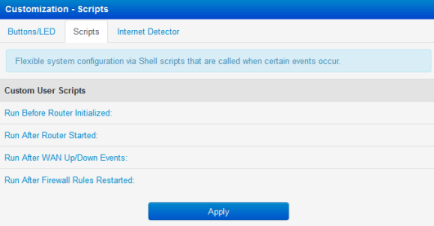 In order to access the command line one must use the same log-on information as for the connection to the device web-interface. BusyBox 1.17.4 library is installed in Linux 2.6.36 on ASUS RT-N11P router. BusyBox v1.17.4 (2015-01-11 03:28:33 CST) multi-call binary. and others. Licensed under GPLv2. See source distribution for full notice. will act like whatever it was invoked as. Let's see what processes are currently running on the device using ps command. By using top utility one can obtain information on the current activity of the launched processes. Now let's turn to /proc catalogue to view its contents and find out the system uptime, its average utilisation, information on the CPU installed, and the amount of RAM. Actually, system uptime and average system utilisation can also be learnt using uptime command. Contents of /bin, /sbin, /usr/bin, and /usr/sbin catalogs, as well as the output of sysinfo utility, are located in a separate file. We can't help to mention nvram utility that allows changing certain important device operation parameters. That is where we bring a brief review of the router command line to a conclusion and pass directly on to testing it. According to our long-standing tradition, we usually begin our testing section with is estimating the booting time of the device, which is a time interval starting with the moment when the power is on until the first echo reply is received through ICMP. 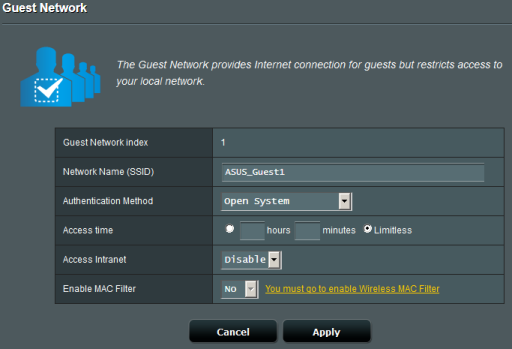 ASUS RT-N11P wireless router boots in 26 seconds. We believe that the result is decent. 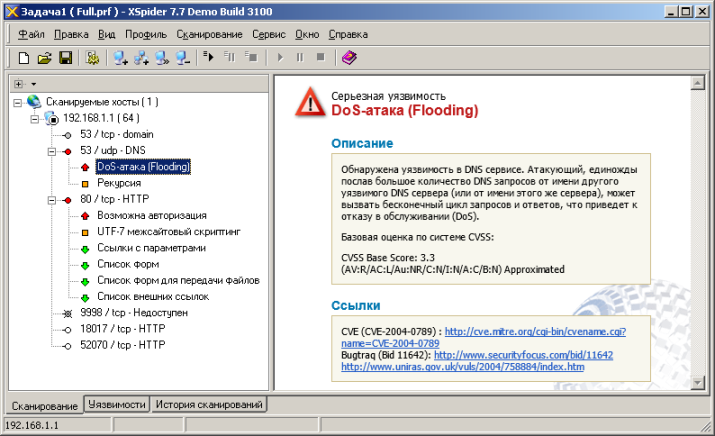 The second traditional test was a security scanning procedure, which has been carried out using Positive Technologies XSpider 7.7 (Demo build 3100) utility. On the whole, there were six open ports discovered. The most interesting data are presented below. Before getting down to performance tests, we decided to fulfill the promise we gave in one of the previous sections of this review and test Extend the TTL value feature. The scheme presented below shows an example of typical connection of the user to the service provider. Let's suppose that the client (the client's PC address is 192.168.1.2) addressed one of the public web-servers with 2.16.66.181 address. 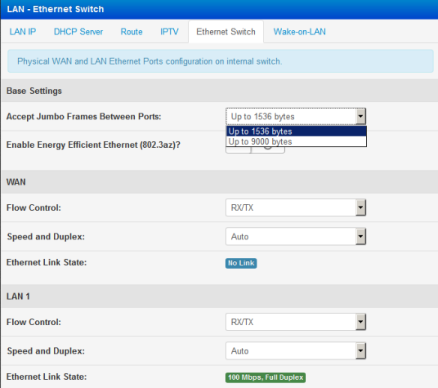 The client uses RT-N11P with the following addresses on LAN and WAN ports: 192.168.1.1 and 203.0.113.2. The scheme below shows the packets containing the replies of the DNS server. 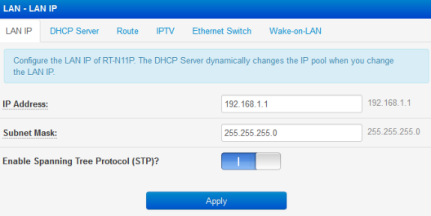 Let's suppose that a packet has TTL=100 on the channel between the service provider and the router. Upon being transmitted through RT-N11P the receiver's address is translated (NAT/PAT) and the value of TTL field is being decremented. 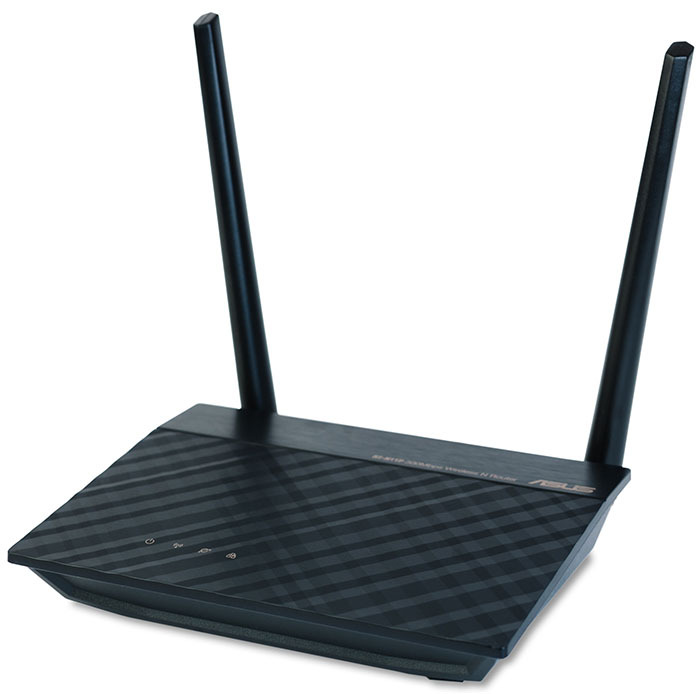 The actions explained above are the part of the standard behaviour of the router. 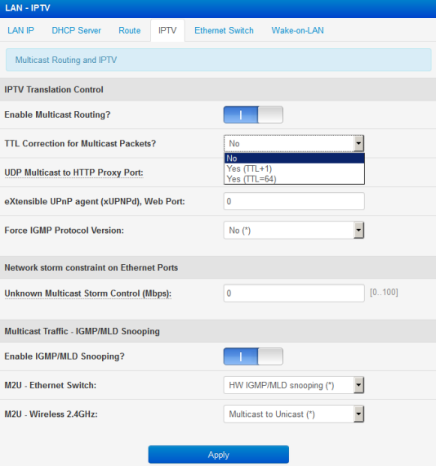 In case the service provider especially decreases the TTL field value to 1 in this or that way upon transmitting the packet, this packet will be discarded by the client's router, or in other words won't be transmitted towards the PC. That's how the protection against the dishonest users that certain providers utilize is realized. Usage of Extend the TTL value feature lets one change the router's behaviour. It's worth mentioning that this feature doesn't influence the transmitted packets that have the value of TTL field of more than 1. If the incoming packet has TTL=1, the router assigns the TTL field value 64 and then performs a set of standard actions: NAT/PAT and TTL decrementing. The above-mentioned set of actions is presented on the scheme below. 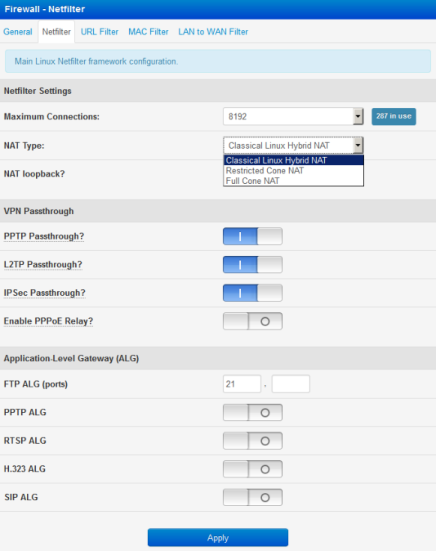 Unfortunately, we didn't find this kind of a smart service provider and therefore in order to test Extend the TTL value feature we simply used two PCs connected to the LAN and WAN ports of the router. On one of the test PCs, which has been connected to the WAN port (or server from now on), we decreased the standard TTL value for all sent packets to 1 in the way as it's shown on the picture below. 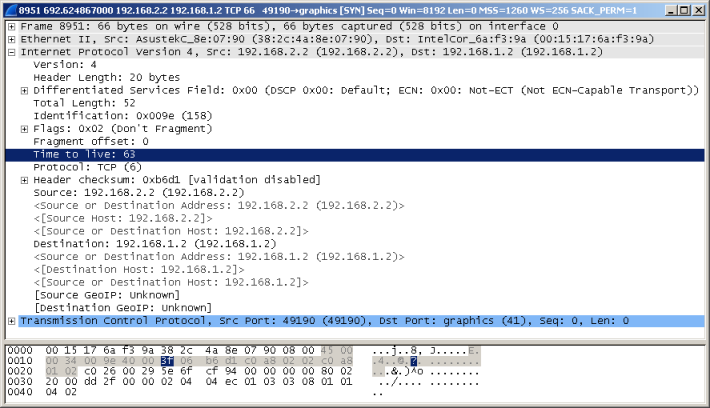 Packet capturing using Wireshark utility let us make sure that the packets sent from our so-to-say server really had the TTL field value 1, whilst packets that so-to-say client received had TTL=63. An example of such packet is presented below. 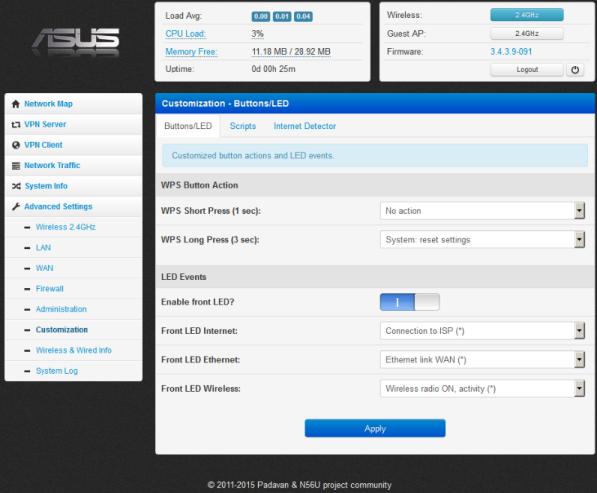 Let's now pass on to throughput tests of ASUS RT-N11P wireless router. Primary specifications of the test stand we used are presented below. The first thing we decided to begin with was measuring user data transmission speeds upon execution of NAT/PAT as well as with and without hardware acceleration. Also, we decided to measure the device performance upon executing common routing (without translations). Since ASUS RT-N11P wireless router supports operation not only with IPv4, but with IPv6 too, we decided to find out with what speed the user data would be transmitted upon using IPv6. 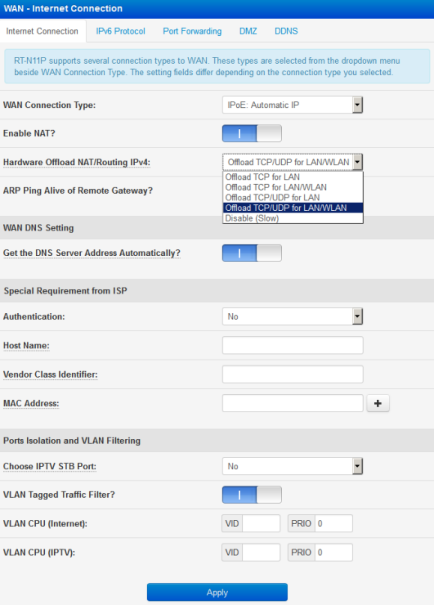 Neither have we overlooked the feature of getting connected to the provider using PPTP that this device supports. It's worth noticing that both encrypted and unencrypted tunnels are supported. 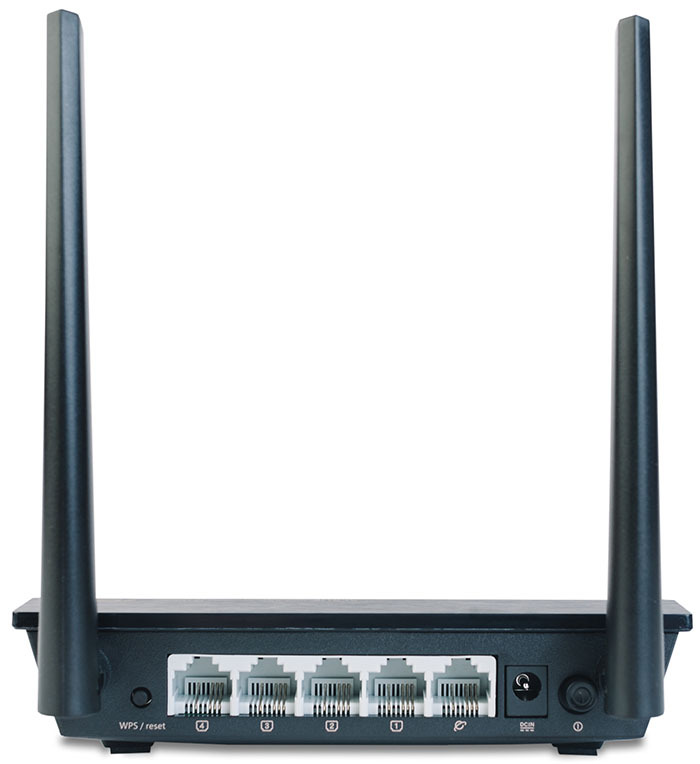 ASUS RT-N11P offers the wireless users a capability of connection in 2.4GHz frequency range; it's performance is presented on the diagram below. That's where we draw the testing chapter to a close and move on to summing it all up. 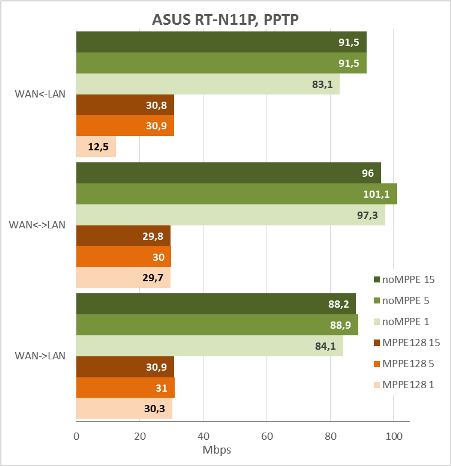 Generally, we are quite glad about ASUS RT-N11P wireless router, which is considered budget-priced, we have tested. Support of PPTP connection to the service provider at high speeds will be sought-after by many users in Russia and ex-Soviet countries. In Europe and the US the PPTP performance may come in really handy in case if the employee is being connected to the enterprise network remotely. Capabilities and performance of the device are more than enough for the majority of common users, whilst low price makes RT-N11P model really attractive for the end user. 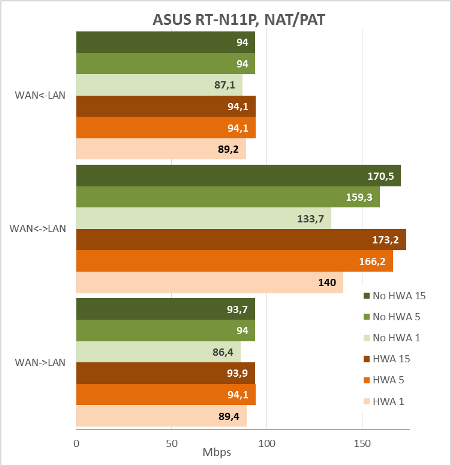 The strength areas of ASUS RT-N11P wireless router are presented below. Unfortunately, we cannot help to mention some of its drawbacks. 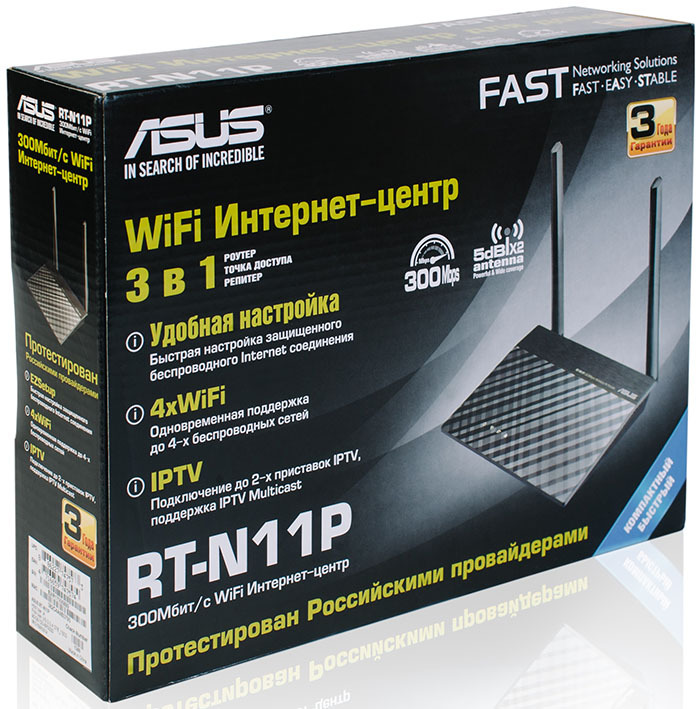 As of when this article was being written, the average price for ASUS RT-N11P in Moscow online shops was 1620 roubles. 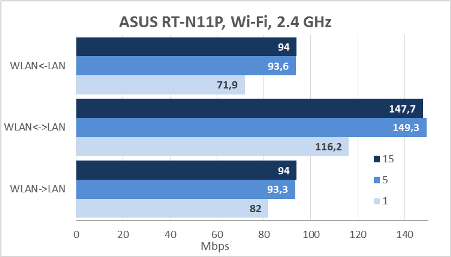 Performance of ASUS RT-N11P wireless router together with its retail price made us title it as the Editor's choice device.